Liberal Candidate Jaimie Abbott with local families getting ready to go back to school. EDUCATION is one hot issue for the upcoming State Election with both sides of politics offering improvements for Port Stephens youth. 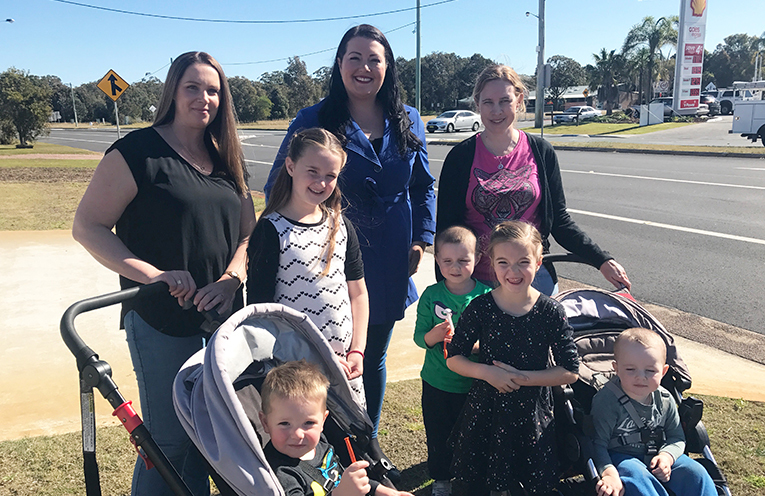 Member for Port Stephens Kate Washington told News Of the Area, “Education will be a priority under a Daley Labor government from preschool, to school and TAFE. “Medowie will finally get a public high school, every public school P&C will receive $5,000 every year, disadvantaged kindy children will receive glasses for free if they’re needed; and we will address the school maintenance backlog that’s ballooned under the Berejiklian government. “A Daley Labor government will save TAFE after 8 years of cuts and ensure our youngest learners can access all important pre-schooling for 2 years before school. “We will also stop the double drop off by building a preschool, long daycare or out of school hours service on the site of every new school,” she said. “I’m thrilled that we are continuing to get more world-class teachers to Port Stephens,” Ms Abbott said. In addition to bolstering the teaching staff numbers the liberals are promising that every school in Port Stephens will have its maintenance backlog wiped to zero by July 2020, ensuring students enjoy the best possible learning environments. Education Minister Rob Stokes said “We are making the largest investment into public school infrastructure by any State government in Australian history. 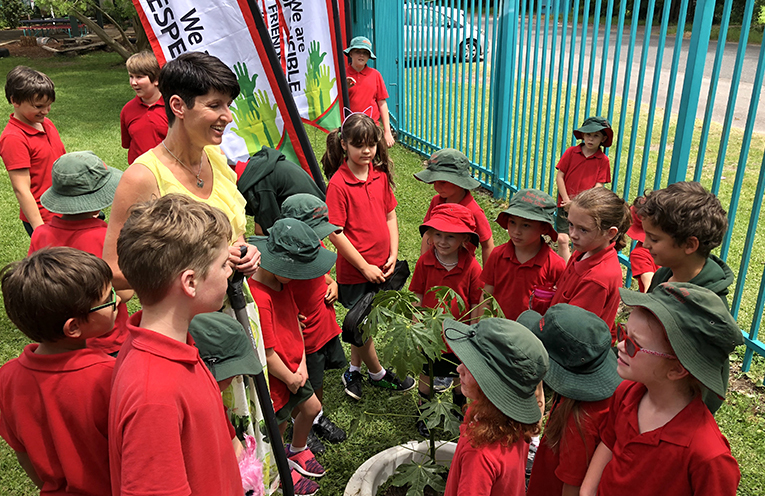 Member for Port Stephens Kate Washington with students at Bob’s Farm Public School.